Pair of lever handles in stainless steel AISI 316L. 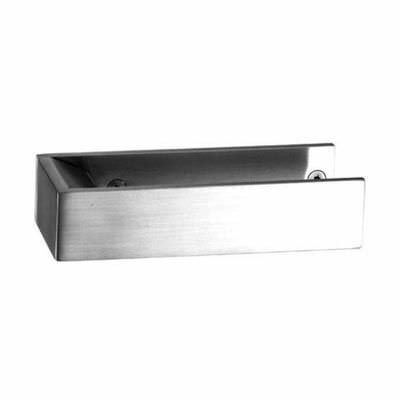 Rectangular lever handle flat face, length 130 mm, height 30 mm. Galvanized steel spindle, 8 mm. Security grub screw in stainless steel AISI 316L with TORX form. Fixing system, grub screw clamping onto spindle. Standard satin finish (Bright finish on request).